This post is written by Sean Sweeney, Public Safety Communication Specialist for Telecom Communications, Inc.
First an earthquake and now a major hurricane in the Atlantic? Are your communications prepared? Redundant communications are a key component of emergency preparedness and without it you could find yourself using smoke signals to communicate. This is important not only for public safety entities but also any organization dependent on communications for the safety and functionality of their employees. However for purposes of this blog, we will be concentrating on Public Safety in this discussion. Here is a list of the "Top 6 Questions" you should ask yourself so that you are prepared if the lights go out. 1- Do you have redundant communications? Do you have radios that do not rely on repeater systems? If so, great. They may only work in smaller areas, but it's better than nothing. Operating in direct mode, or Simplex, is an easy way to maintain communications during a power outage without a repeater. 2- Is your radio room on generator power? 3- Are your repeaters on battery back-up? If you lose power, you lose your repeater system. If it isn't on an auxiliary power system, it should be. Even if the system is on power back-up, most repeaters go into "fail-safe" mode when a surge is detected. Do you know how to properly reset your repeater? 4 - Do you know how long your back-up will last if the power is out for days? Auxiliary power systems are only designed to last a few hours, 18 hours in most cases. What is your plan if the power is out longer than this? 5- Do you have lightning protection for your antenna systems? Most people forget about their antennas when planning on protecting their communications. A lightning strike to the antenna system can wipe out your communications. To minimize the risk and damage, you should have the proper protection, such as lightning arrestors and grounding, in place for this. 6 - Does your Mutual Aid have the ability to activate you and vice versa? If you go down, who will activate your pagers and handle radio transmissions? Having a mutual aid agreement in place with surrounding departments and your county control points is an excellent way to ensure your communications continue. These are not questions you should be asking yourself right now with the storm brewing, but if you haven't been thinking of these things, Telecom can help. We have a staff of qualified engineers who can evaluate your system and get you these answers. 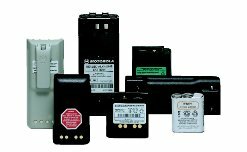 Arm yourself with Uninterrupted Power Supplies and redundant power supplies that transition seamlessly into your current system. Be prepared because the public safety is our number one priority. Tel ecom Communications, Inc. is proud to announce our sponsorship of the New York State Fire Department Drill Teams as the 2011 Primary Series Sponsor and Exclusive Communications Sponsor. 2011 will be the biggest New York State Racing Season ever with firefighters from departments across Long Island and New York State competing in challenges designed to test their skills in the pillars of firefighting such as climbing ladders and positioning hoselines. 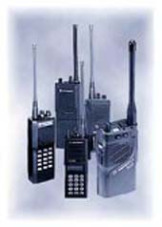 Telecom Communications, Inc., a leading Motorola dealer of two way radio sales and service, with offices located in Plainview, NY and New York City has been serving the wireless communications industry since 1959. Generations of firefighters have relied on Telecom Communications, Inc. and Motorola radios when lives are at risk; radios that deliver interoperability on demand; superior audio, and simple, intuitive operation. Telecom Communications delivers communication solutions that allow fire departments to focus on their mission, making technology second nature. “We are excited about our partnership with the 2011 NYS FD Drill Teams. Volunteer firefighters are an integral part of the community, devoting their time and selves to protecting others. 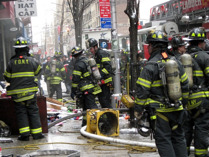 Firefighters and Motorola go hand in hand so this sponsorship was a natural fit.” – John W. Bos – President, Telecom Communications, Inc.
Coverage issues are not just limited to cell phones. There are many reasons why some companies two-way radios will be able to talk a lot farther than the ones at your company. To put it simply, they are most likely operating on a higher power. "Well that's not fair" you are probably thinking. What makes them so special that they can operate on a higher power. Well you can too, that's where a repeater would come in. Portable radios normally operate somewhere between .5 and 5 watts. It's hard to say for sure what distance this would cover because of interference issues such as buildings, mountains, etc. but a rough estimate is for every watt of power you would get approximately one mile of coverage in a flat, open area. What a radio repeater would do is take that weak or low signal and retransmit ("repeat") it at a higher level which would then enable the radio signal to cover a greater area. 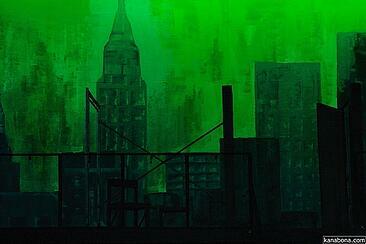 The repeater would be installed in a location that would maximize its effectiveness. There are many different types of repeaters available. 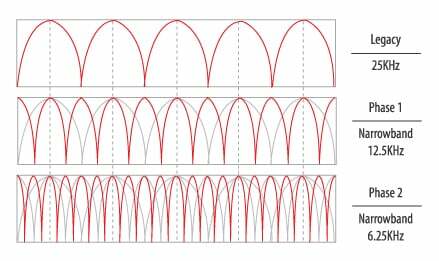 There are low level repeaters, high level repeaters, vehicle repeaters, cross band repeaters and one of the newer types which are digital repeaters. Motorola MotoTRBO (XPR8300, XPR8400) repeaters supports two simultaneous voice or data paths when used in digital TDMA mode. This provides for twice the calling capacity, as compared to analog radios, for the price of one license. It also provides clearer communications, in digital mode, throughout the coverage area as compare to analog radios and it is 100% continuous duty. Sometimes radio systems will require the use of a repeater to increases the range and capabilities of your portable or mobile radios. If you think you may need to use a repeater with your system, contact your two-way radio professional for a consultation and system testing.